GMTV‘s website has been completely remade. The new website features all the old content in a slick and stylish new template: but that’s not all; they have also released 3 screenshots of the fifth episode. I would like to show you some still images of what you are going to see in episode five. The first image is a picture of the new section titled ‘Spotlight’ it replaces the old ‘GML in 4 Minutes’ segment, you will learn more about it when episode five is released. The second picture is an interview with Tom Russell, creator of Russell’s Quarterly, Tom is a very talented writer and a person who isn’t afraid to try something new. The final picture is simply a review of the game, Jumper 3, created by YoMamasMama. Glad to see more changes coming across, my main problem is I am not a fan of the website design. It is almost exactly like the MU site. Now, when I look at the MU site I like the look of it, however when I come to the GMTV site it just doesn’t fell good to me. But that is my opininon, take it or leave it. It looks good, I look forward to Episode 5. 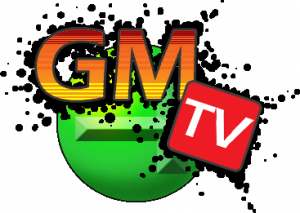 I’m not a big fan of the title font, though (the Game Maker Television font, not the GMTV logo). Caveman Craig 2, YYG Contests, GMC Contest, Buy our Internet service!